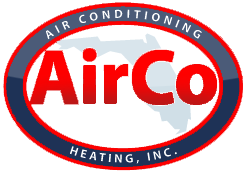 AirCo Air Conditioning & Heating has been the trusted company for Jupiter air conditioning installation for more than 15 years. All of our technicians are highly trained and have the experience to provide service of the highest level to every customer. New air conditioning installation is needed when your AC system no longer works or doesn’t provide cold, comfortable air in summer anymore. We always recommend having a new AC unit installed, when needed. You can usually take advantage of factory rebates and FPL rebates. There are numerous advantages to Jupiter air conditioning installation by our specialists at AirCo. The process of having a new air conditioner installed begins with a load calculation of your home or business. 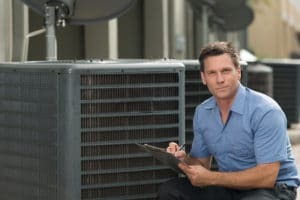 Our technicians have extensive factory training, and they know how to determine the correct size and capacity of the AC system you need, for best results and top efficiency. It’s been proven to be a mistake to simply offer air conditioning installation of a system with the same tonnage that was previously installed. This approach involves trusting a process that occurred 10 to 15 years before, and it doesn’t guarantee optimal performance of your new system. AC systems last between 10 and 15 years. Over time, continued repairs can keep things running but can do nothing about diminished performance. An air conditioning system that has outlived its time has to work harder to cool your home or business. The decision is finally made to stop making costly repairs and paying for substandard performance and instead ultimately enjoy significant cost savings with the replacement of a more efficient system. The U.S. Department of Energy has done research substantiating that the upfront cost of buying a new air conditioning unit is immediately offset by energy savings of 30% to 50%. In a typical residence, this might mean paying $100 per month in peak months instead of $200. 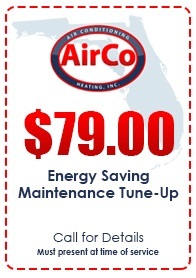 AirCo is a factory authorized dealer of Rheem. Rheem has been America’s Most Trusted HVAC System for many years running. Rheem owns patents on their products and tests them “torturously,” so that customers can rest assured the Rheem product in their home is dependable and long-lasting. The company has more than 90 years of experience and strives to exceed industry standards in every aspect of design. Your satisfaction is 100% guaranteed, when you rely on AirCo for Jupiter air conditioning installation as well as AC maintenance and repair. Contact us today at 561-694-1566 to schedule an appointment.